Congratulations to Deanna for winning LOTW! 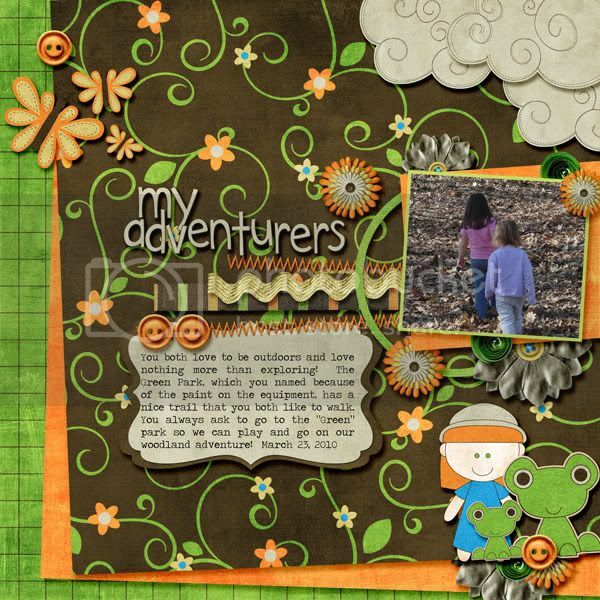 Her layout is beautifully clustered and who doesn’t love a well journaled page!? Very touching! It’s such a lovely layout. Click the image to leave her some love or click here to view her entire Gingerscraps Gallery. You can pick outstanding gallery layouts which become the next LOTW nominee’s by posting in the “Baker’s Best” thread. Check out the rules here. As always your vote counts so head over the the forum to vote for the next LOTW winner. You can be a LOTW winner too, all you have to do is scrap! Happy Scrapping. It’s Saturday, YAY! My name is April, and I’m quite new to the GingerScraps community but I am so excited to be here! 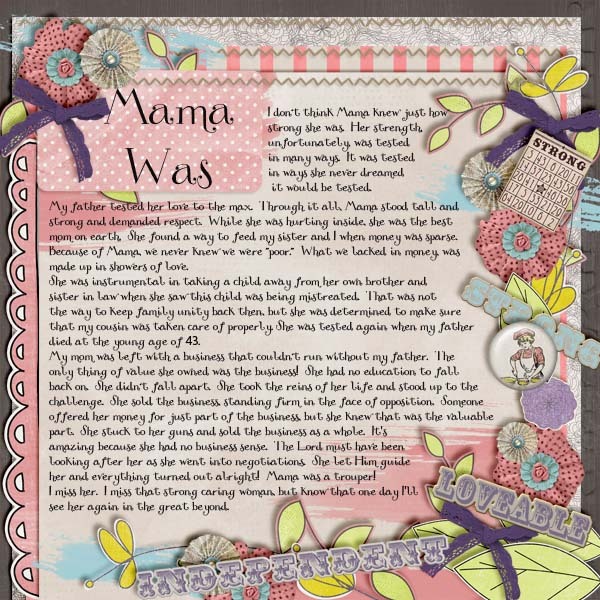 Today we’re going to take a moment to chat up Jennifer, owner of Luv Ewe designs! She is currently hosting the grab bag this month (FREE when you spend $10 in the store), so get it while you still can! I am married and had a wonderful wedding on a beach in Jamaica. I have three boys and four step kids. We also have six indoor kitties! Hmmm we have a boring family life. LOL I toy around with photography so my kids are getting bored with me taking pictures of them. But you have to capture these moments because they grow up too fast! My boys are teenagers now and that is just hard to believe! They were little just yesterday! Besides designing, I enjoy scrapping too. I spend too many hours on Pinterest and playing with my camera. How did you come to be a designer? 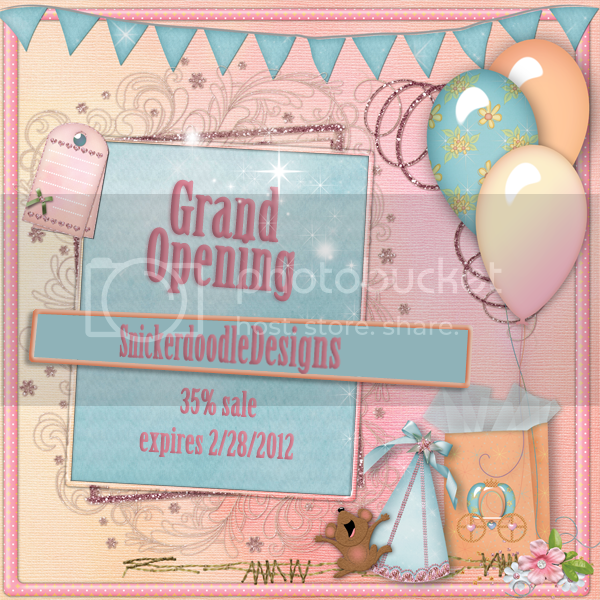 I started designing before I ever scrapped! I started making siggies in a forum and created some elements that I wanted to use or these, and there started my Photoshop addiction! What inspires me when designing…I do ask my CT for theme ideas. That helps me get started so that I can come up with some kits that they are looking for. Pinterest has a lot of inspiration too! I am addicted to that site! I found lots of color palettes on there. I grab one that I like and it leads from there. I jot down some ideas of what would be some great elements and such for the theme. Sometimes I look at kits from my fave designers to get my mind rolling. I then asked her about her kits, her very first, best selling and her most favorite. Well I don’t have my first kit that I ever made. It is long gone! LOL It was horrendous! I do remember it was named Blueberry and Bubblegum. It was pink and blue. 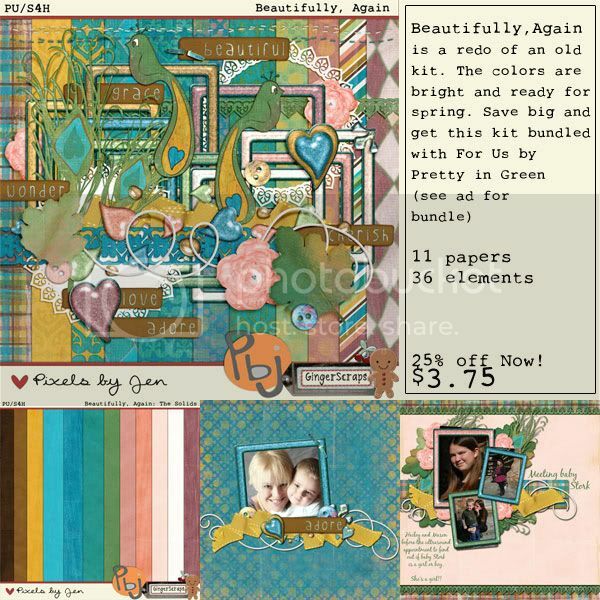 My fave kit right now is Friends For Life and my best selling is Now Showing. Both of which are available in the shop (and totally now on my wishlist- look at how awesome they are!)! In one word how would you describe your design style? Versatile. I love seeing my themed kits being used for non-themed layouts. My kits can be used in so many ways! I’d love to know what is the one thing you can’t do without when designing? I design with PS CS4 (Photoshop Creative Suite V.4). I do all my designing while sitting on my couch. I hate sitting at the table! One thing I usually have to have while designing is my Dr. Pepper. I am addicted to that stuff! Finally, do you have any advice for aspiring designers? Just keep learning! There is always something new to learn with your program, networking, marketing, etc. This will help you grow as a designer! I am learning new things all the time and still have a lot of room to grow! I want to thank Jennifer (super much!) for taking the time to talk with me, and having the patience to deal with my many emails the past few days! All while feeling a bit under the weather, sure hope you feel better soon! We can’t wait to see what you create for us next! ACHOO! Excuse me. I didn’t mean to sneeze. I promise I sneezed into my elbow. I can’t tell if I have a head cold or just awful allergies. Ugh, I hate feeling this way. Hopefully none of you are sick. If you are I hope you feel better soon. I do know what will everyone feel that much better….New Releases!! Before I tell you about them I do have very exciting news about today. Today is someone’s birthday. Care to guess? Nope…guess again. Nope, not her either. It’s our very own GINGER! Help me wish Ginger a very happy birthday. Happy Birthday Ginger!! We love you! 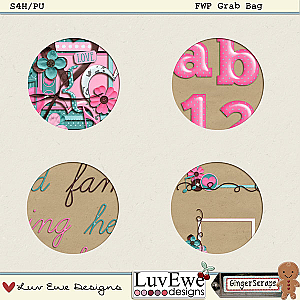 Now back to our regularly scheduled programs – Remember if you spend $10 in the store you get a free grab bag by Luv Ewe Designs. To help you get more bang for you buck…ACHOO! Sorry about that. Where was I? Oh right! Bang for you buck! We have some great sales going on! Here are our new releases….ACHOO! Sorry again! Make sure you check out the store because we don’t want you to miss anything!! While you are still here – don’t forget to check the Welcome Wagon! 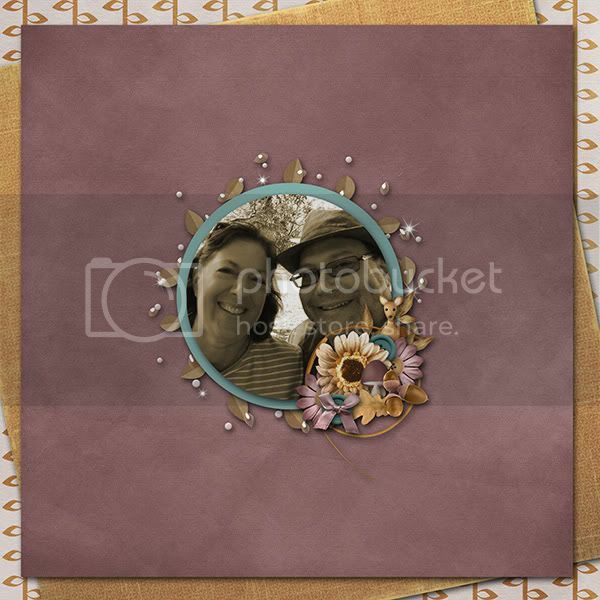 Keep In Touch Designs has added her new kit! Just register in our forum (the store and forum have 2 different log in screens, so just because you are registered in the store, you may not be registered in the forum). Another great week from our great designers. Make sure you keep reading…there are some incredible things starting in March. Shoot, pretend I didn’t say that. This can stay between us right? Cool. Thanks. Have a great weekend and I’ll see you back here on Thursday! Okay – enough from me – here’s your goodie for today! Hope you have a fabulous Friday!!!! This is Beth here, and I have the coolest blog job in the blog universe today! 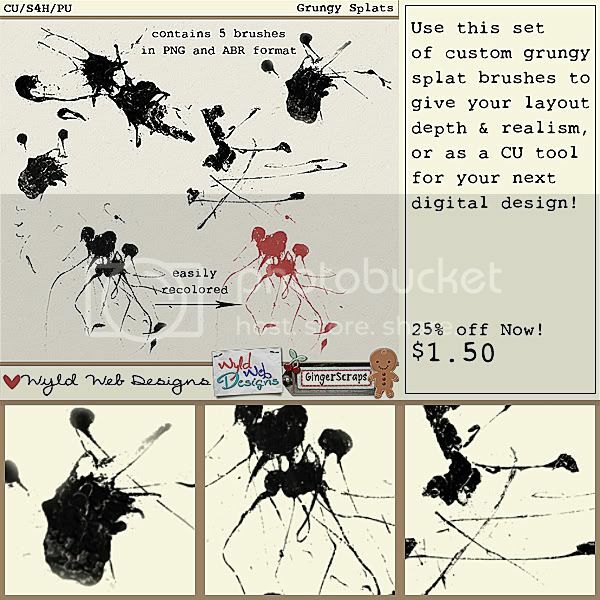 Today, I get to show you the kits that our fabulous designers at Gingerscraps have been working on for you and that will be released on Friday this week! Get ready, Digi Scrappers! Oh what a day!!! I can barely contain my excitement over these yummalicious kits! I know I want each and every one! Well then, let’s get started!!! 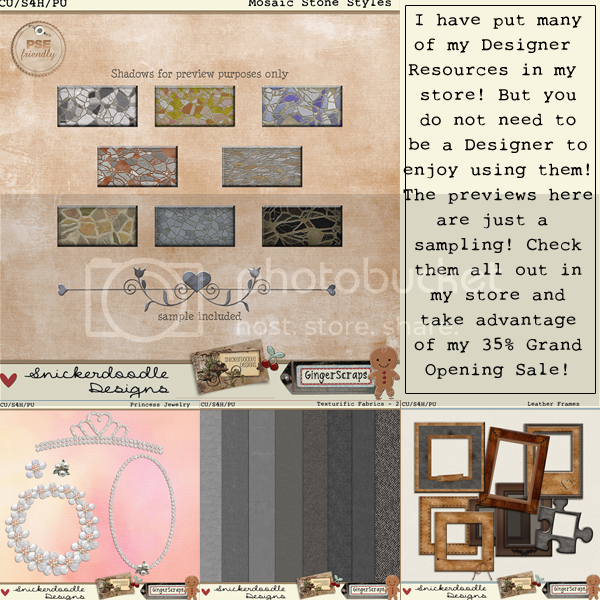 Coming to you from MarieH, we have this decadent collection that will be so versatile in your scrapping supplies. You will absolutely fall in love with this kit! 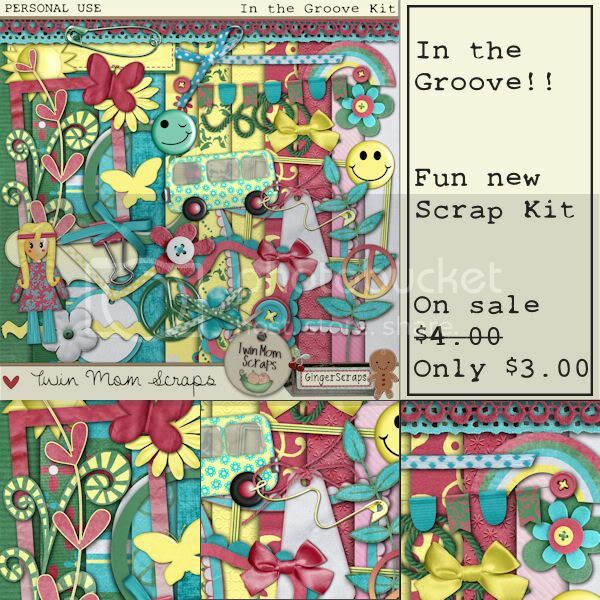 Next, Jenn Yurko is adding a hop in our step with this fun kit…Be sure to hop on over the store to get this and be ready for any adventure that comes your way! 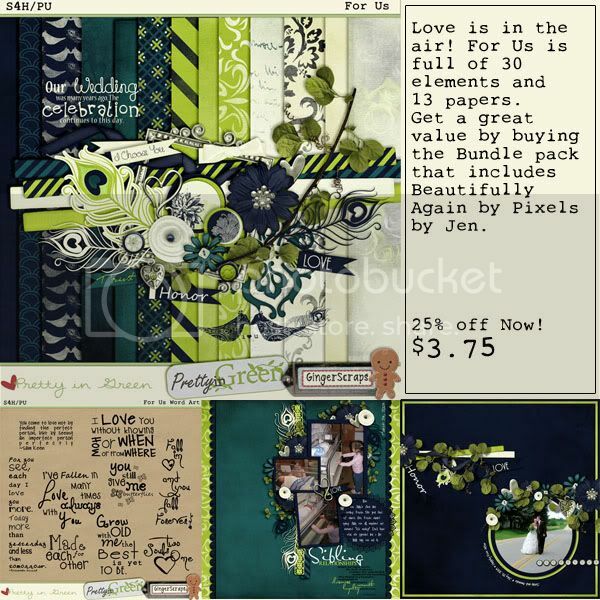 I am excited about this collection coming out by Pretty In Green and Pixels by Jen! I love love love the birds in this kit and the colors! Beautiful and ready for your memories! And the list goes on! Like I said, Today is a great day to be a digi scrapper! Ok, I won’t hold you up and I’ll get on with it…. From Rachel of Pretty In Green, we have a boat load of new collections coming, and I am counting down the hours until I can add them to my stash. Don’t you just love those yummy colors!?? So rich and creamy! Yum!!!! 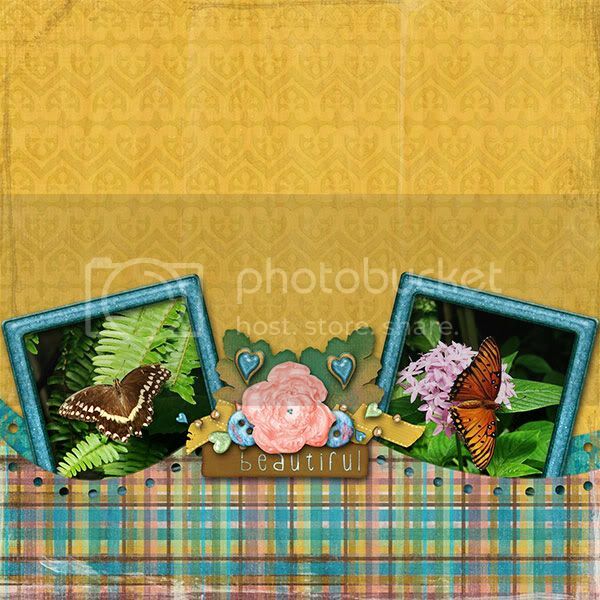 I just love the plaid, and the pretty pastel colors in this! Oh my gosh! It makes me so excited about the change in season that I hope is coming soon! I need a little color in my world, and this kit will do that for me. I think I might use it for hybrid projects, too. Isn’t this beautiful? Don’t you love the colors in this one too!? Simply Gorgeous!!! Oh my gosh, there are a TON more of new releases coming tomorrow!!! Check these out!!!!!!! I am drooling! Our designers are so talented, and I am in love with each of their designs! All these collections are so versatile. I can see them being used in so many different ways. And I can’t wait to get my hands on them! Here I am, coffee in one hand, mouse in the other, camped out at the store just waiting for Friday when I can purchase them! So, there you have it, this week’s fabulous Sneak Peeks! Enjoy and feel the Love from the Friendliest DigiScrapping Place in the Universe!